We are just two days away from our last reading clubs of 2014! Join us in bringing holiday cheer to our students along with Santa and his elves, and help send each child home for Winter Break with the gift of a new book in her hands. This Saturday's reading clubs are almost full, but we expect more spots to open up from now until RSVPs close at 3 PM tomorrow. If we are full, please check back often to sign up. December is the final month of our 2014 Annual Fund Drive, our most important fundraiser of the year! Click the above link to see how we are doing so far, and help us reach our fundraising goal with a donation by cash, check, or credit card. Special thanks to Janet Webb and Nicholas Jones for collecting corporate donations! Donations you gather from others and bring to the reading clubs this Saturday will count toward your school - so download our handy donor sheet for raising money with your friends and co-workers, and bring glory and honor to your school! 1) Donate by check or online today. Contributions of any amount are greatly appreciated! 2) Ask friends and family to contribute! We've made it super simple - just print out our donor sheet and start asking, or spend a few minutes personalizing and sending our sample email. 3) Double your donation! 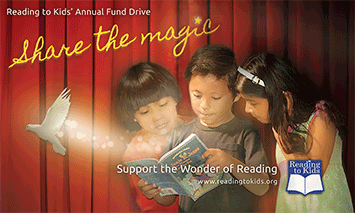 Ask your employer to match your donation to Reading to Kids and double your impact. Please show Fluor your enthusiasm for Reading to Kids! Your comment may be featured on the blog, where you can also see inspiring photos from the November reading clubs. 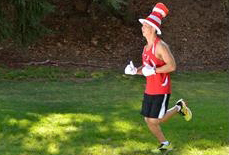 If you or a runner you know is interested in becoming one of our fundraising runners or creating a fundraising team, email Chris Martin at marathon readingtokids.org for more information. - Final Month: Annual Fund Drive!